The Beaman Student Life Center was packed with attendees at the University’s largest Community Day to date. 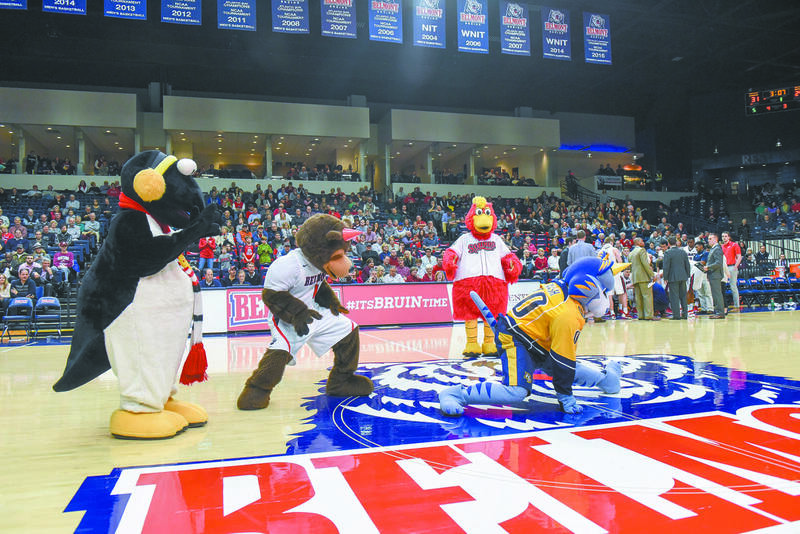 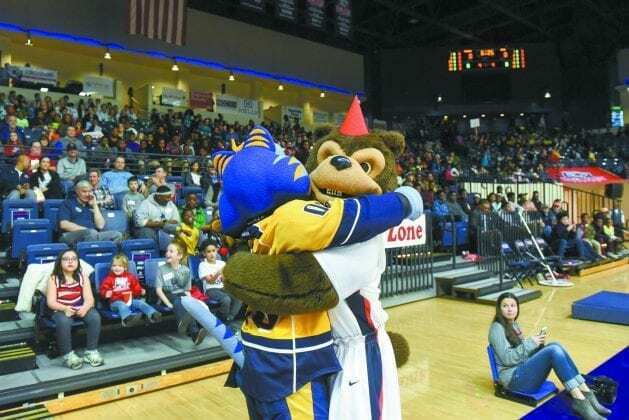 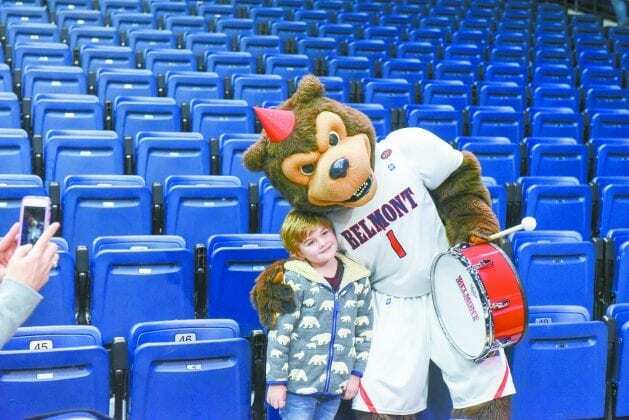 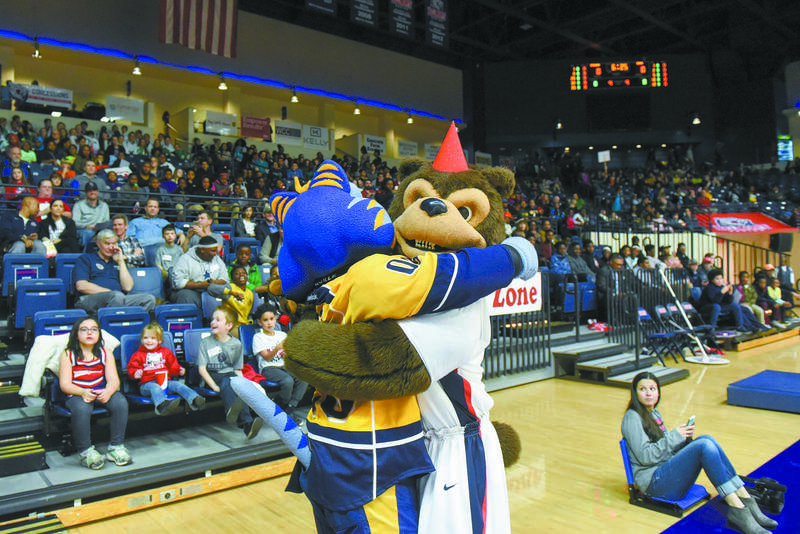 Nashville’s mascots made an appearance to celebrate Belmont’s Mascot, Bruiser’s, birthday. 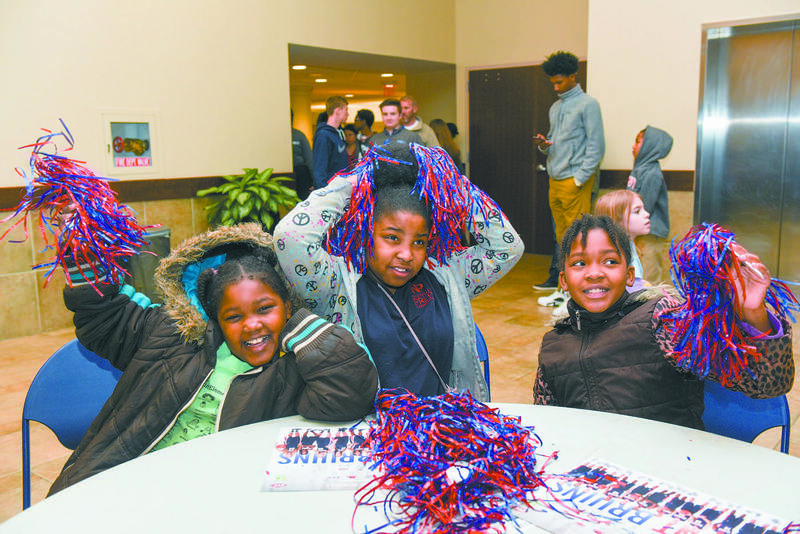 Big smiles after dinner at Belmont’s annual Community Day celebration. 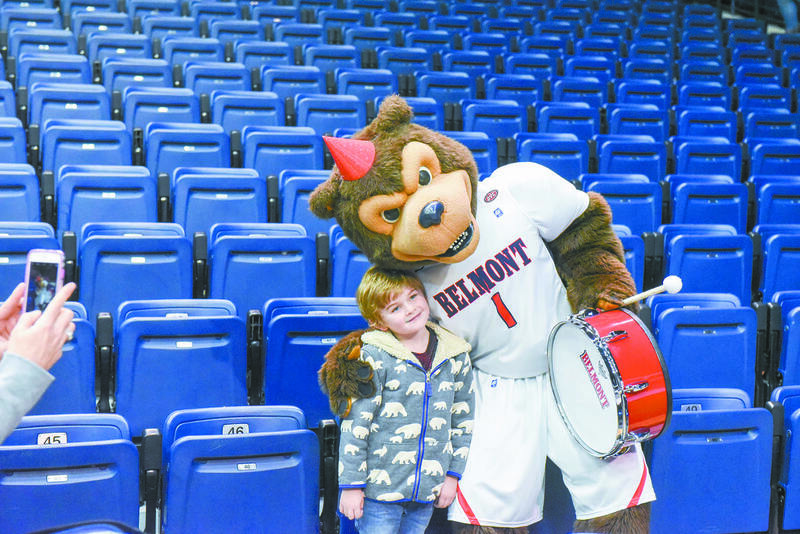 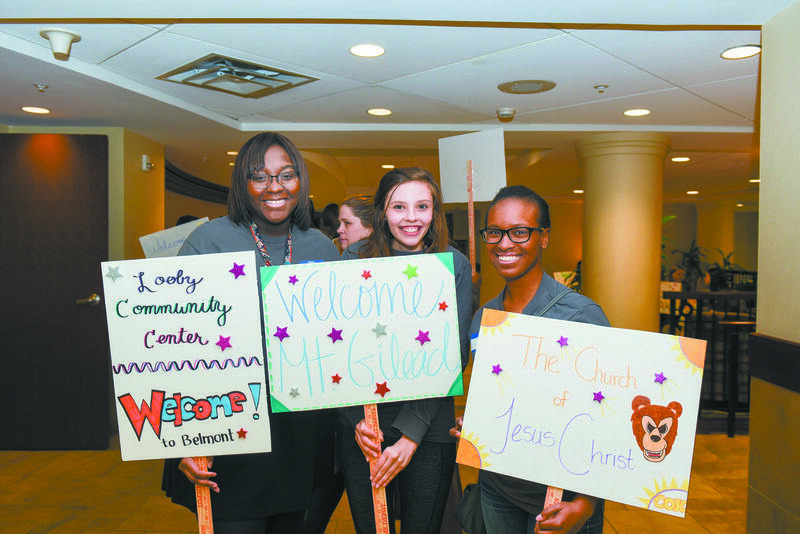 Belmont students prepare for student group arrivals at the university’s annual Community Day. 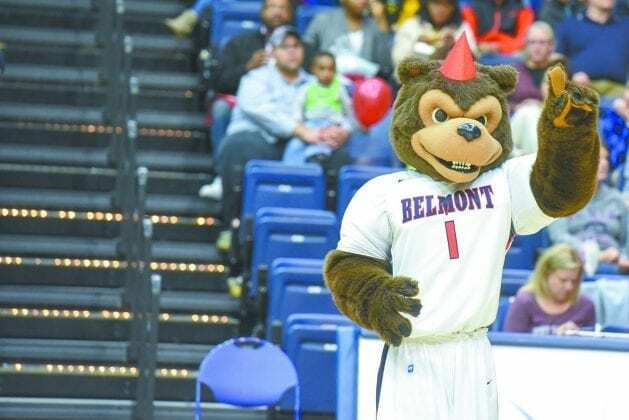 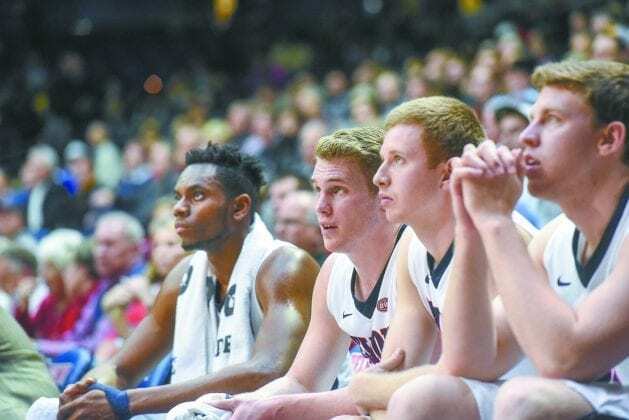 The Bruins take home another victory, thanks to the cheers of so many faculty, staff, students, neighbors and community members! 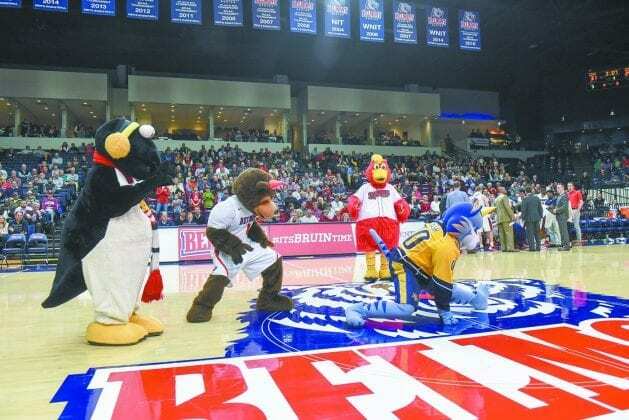 Nashville mascots dance on the court floor! 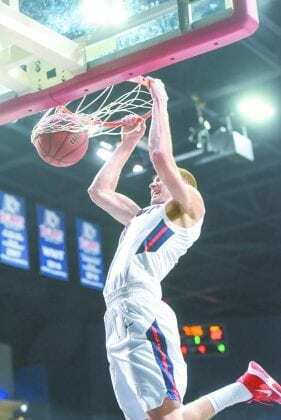 Another impressive basket by the Bruins! 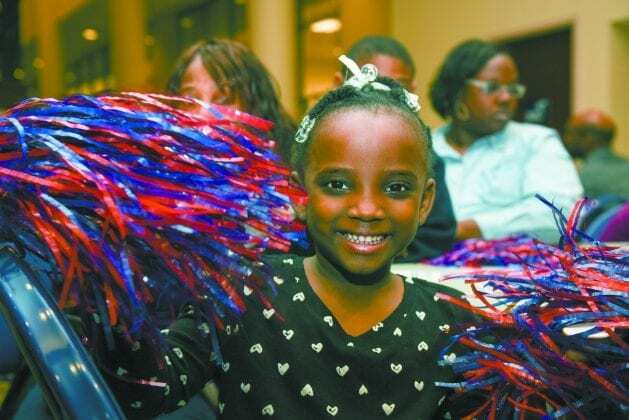 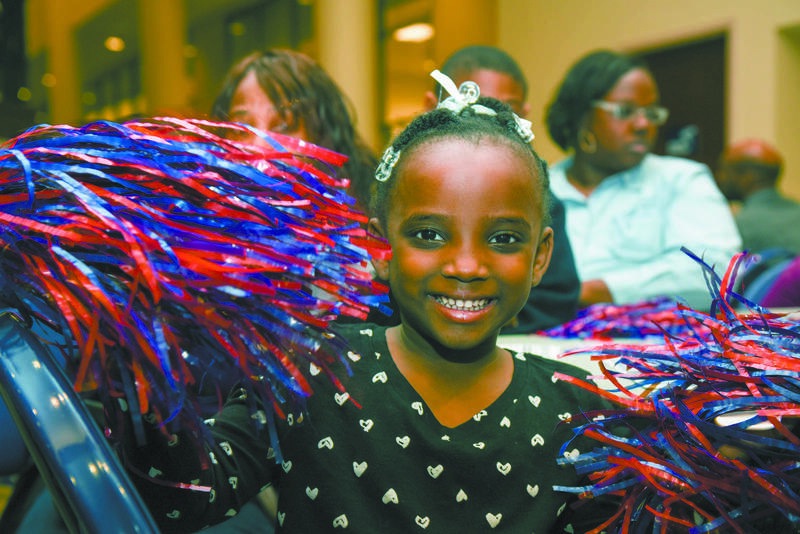 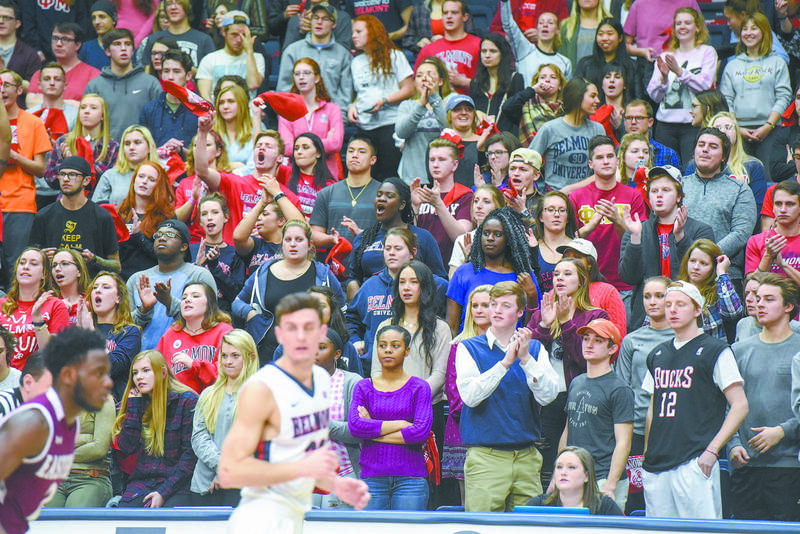 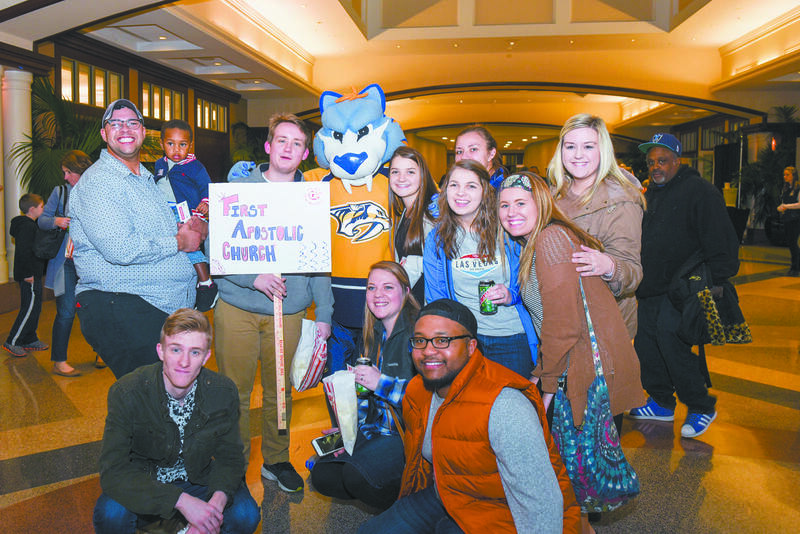 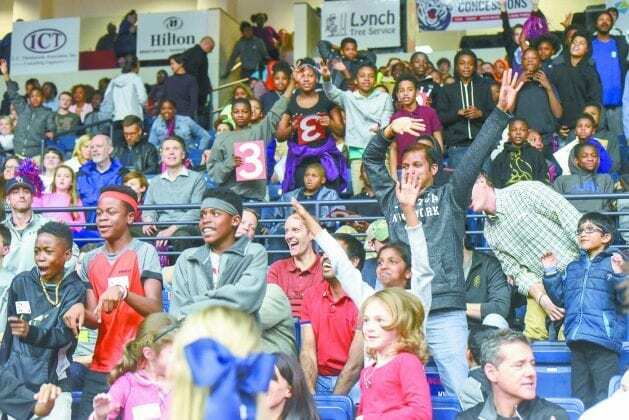 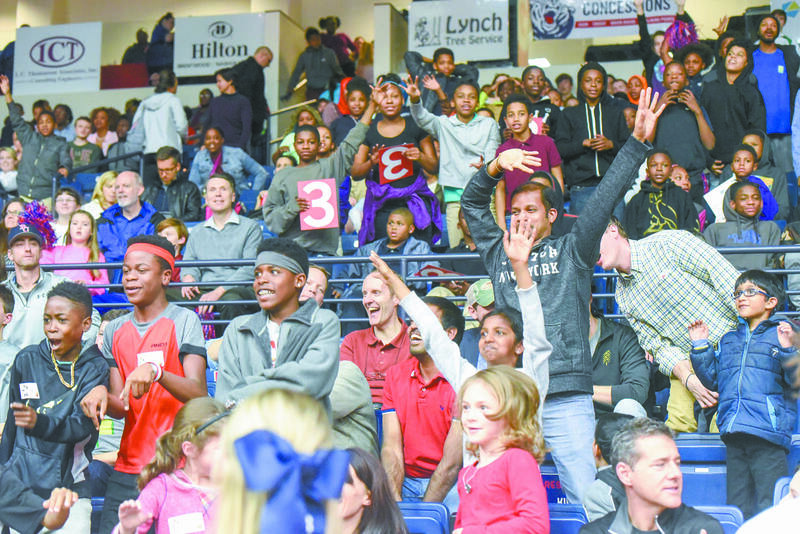 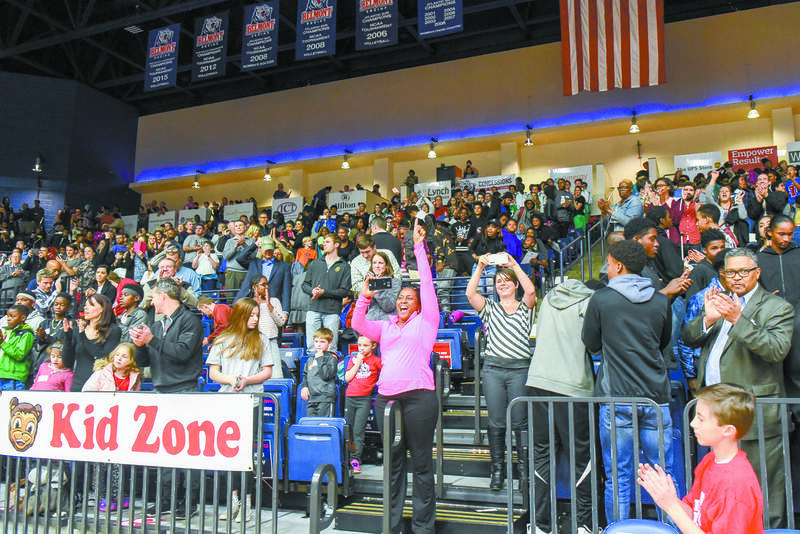 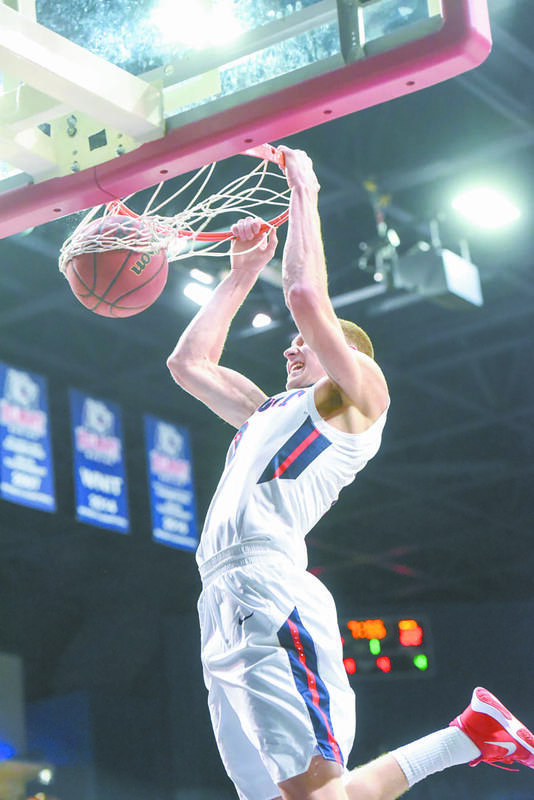 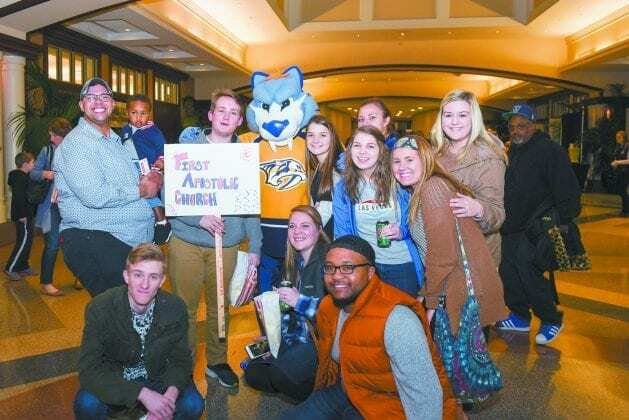 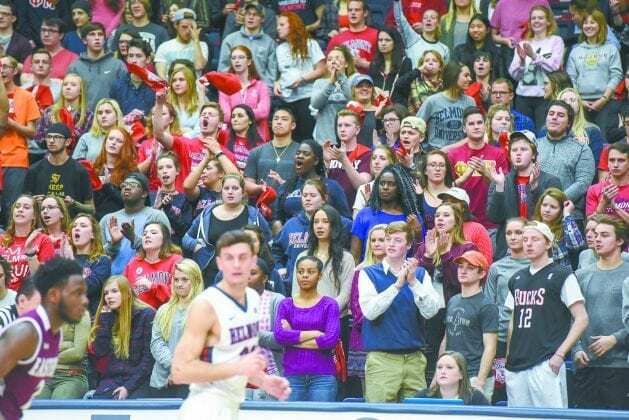 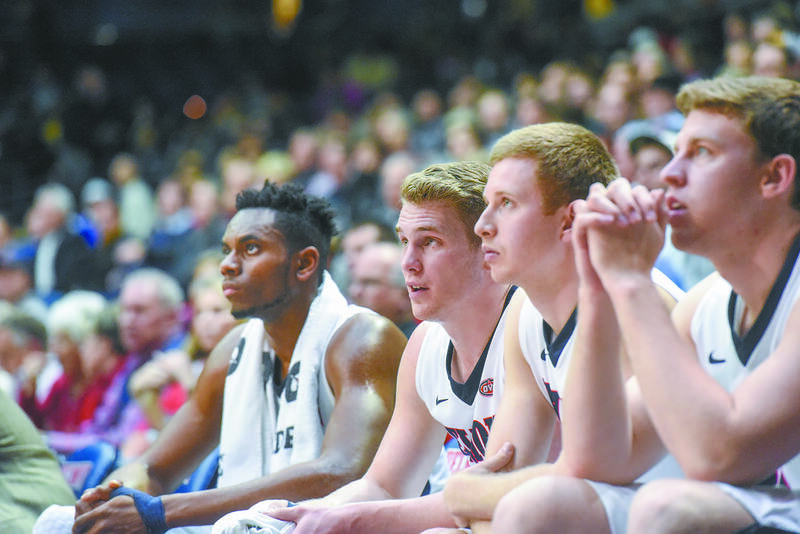 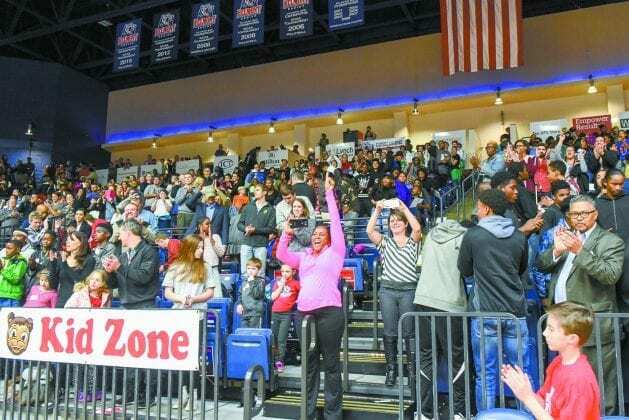 Belmont students join in the fun and cheer the Bruins to victory alongside community members. 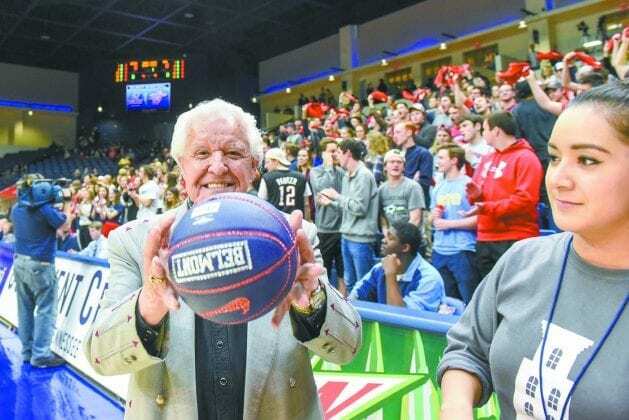 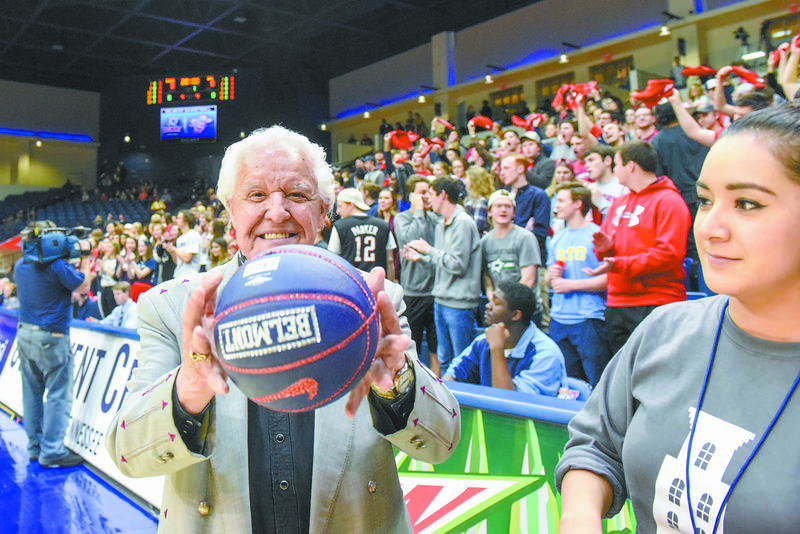 Manuel, Nashville legend and owner of Manuel Couture, was presented with a special game ball made specifically for him by Belmont’s Department of Art. 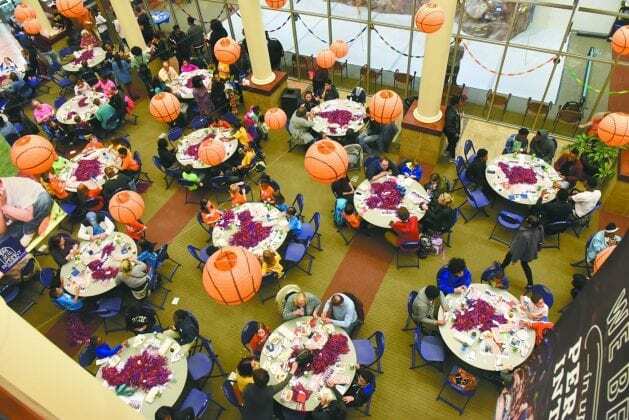 The Curb Event center was packed with attendees – the largest Community Day to date!